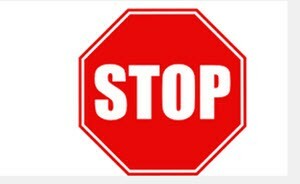 A stop order is an order to buy or sell a security if the price of that security surpasses a particular point. In a way, the stop order is automatically converted into a market order as soon as the price surpasses the set point. It is important to remember that a stop-order will not guarantee that your securities are sold or bought at or even near the set price. You might for instance instruct your broker to sell your shares as soon as the price drops to $15. As soon as the price hits $15 your broker will place a market order, but it might be impossible to find any interested buyer until the price is down to $13. This risk is especially high for securities where the market has low liquidity. Since traders often use stop orders to limit their loss on a security (i.e. make sure that it is sold if the price falls below a certain point) the stop order is often referred to as a stop-loss order. It is however perfectly possible to use a stop order to ensure that your profit is locked in, so not all stop orders are stop-loss orders. Example #1: You have purchased shares for $15 each and they are now at $20. You are not eager to sell yet, but you also want to make sure that you wont lose too much money on this deal if the price starts going down. Therefore, you place a stop-order, instructing your broker to sell the shares if the price drops to $14. This is the amount of loss that you are comfortable with. Example #2: You have purchased shares for $15 each and they are now at $20. You think that they will go up to at least $25. To make sure that you don’t miss the window for selling them at $25, you place a stop-order, instructing your broker to sell the shares if the price reaches $25. You prefer to lock in your profits there, rather than hang on longer and risk that the price will go down again before you manage to sell the shares. Many traders that are normally very active and rely heavily on market orders will place stop orders when they know or suspect that they will be unable to monitor their portfolio properly for a period of time, e.g. because they are going on holiday to a country with unreliable internet connections. There are also more passive traders that use stop orders simply to avoid having to constantly monitor their portfolio. A risk with having a stop-order in place is that a transaction can be triggered by something that is very temporary and an order may be carried out that you would not have carried out if you had been monitoring your portfolio yourself and placed manual orders. A short-lived panic at an exchange can for instance cause all share prices to plummet temporarily, triggering massive amounts of stop-loss orders to be executed. You may end up selling all your shares in a sound and profitable company just because the share price did a short dip.